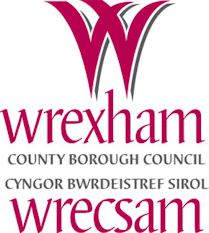 Wrexham Council have urged the owners of empty homes in the area to look at ways of bringing them back to use in order to ease the high demand for housing across the county. The initiative is part of the council’s Empty Homes Strategy which has seen officers start to work with a number of organisations to assist owners of empty properties to bring them back into use for sale or renting. Officials have said that with such high demand for housing across the county, and a number of properties sitting empty, they are eager to see as many of them returned into use as possible. The council have now identified over 100 empty properties across the county that have been empty for 6 months or over. As a result of its Empty Homes Strategy which was adopted in 2007 they have set a target of seeing 35 properties returned into use in 2011/12. “As a local authority we are aware of the impact many empty properties can have on local communities in terms of anti social behaviour or loss of a much needed home. “We also appreciate the impact it may have on neighbours who may live next door to an empty property through no fault of their own. “We also appreciate how difficult it can be for owners of empty properties to bring them back into use. If you are an owner of an empty home and wish to work with Wrexham County Borough Council or want to report an empty property in the county please contact Siôn Wynne, Housing Partnership Officer on 01978 315 587.